The Israel/Palestine conflict has become so all-consuming that even objects are central to the struggle. Two recent books illustrate this fact. René Backmann’s A Wall in Palestine looks at the planned 490-mile-long, 25-foot-high wall, complete with fencing, trenches, thermal imaging and sniper towers, that Israel is building in parts of the West Bank. 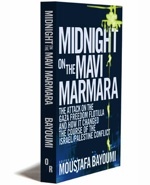 The second work, Midnight on the Mavi Marmara, is a collection of essays examining the deadly Israeli attack on an international seaborne convoy. The “Freedom Flotilla” was attempting to break the crippling blockade of Gaza, which began in 2007 when Hamas took power after winning democratic elections and defeating a U.S.-backed effort to install Fatah, the party that lost the elections, into power. 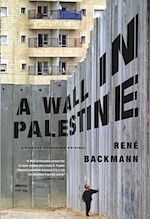 While French journalist Backmann’s work is a useful contribution to understanding the separation barrier, the author all too easily adopts the language of the Israeli occupation and spends little time on crucial context and history relating to the Israel/ Palestine conflict. 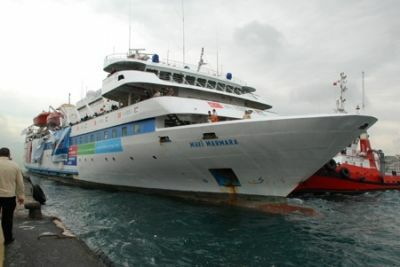 Midnight on the Mavi Marmara, on the other hand, gives readers a much more comprehensive look into the current situation as well as vital history and context, like explaining why the ongoing “peace process” is bankrupt. The International Court of Justice, in an advisory opinion, ruled the separation barrier to be illegal under international law in 2004. The vast majority of it snakes through occupied Palestinian territory, slicing up Palestinian villages and cutting off access to urban areas. The idea of separating the Palestinian population from the Israeli population has deep roots within Zionist ideology and has been proposed by Israeli officials for decades. 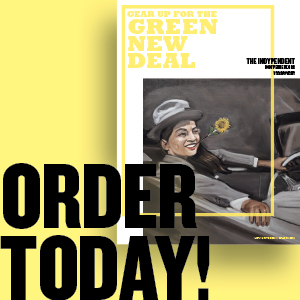 But it wasn’t until the aftermath of the second Palestinian Intifada that began in 2000, and Ariel Sharon’s rise to power, that the idea of constructing a physical barrier was seriously considered. Ironically, the rightwing Likud Party, of which Sharon was a long-time member, was originally wary of the concept. The idea of a barrier built on Israel’s borders as established in the aftermath of the 1947-49 war — as some Israeli politicians on the left suggested — might create the boundaries for a future Palestinian state and leave Israel’s colonization project of the West Bank in jeopardy, something that right-wing Zionists had no interest in. In 2002, after a wave of Palestinian suicide bombings inside Israel, the Israeli government under Sharon decided to begin building the barrier. Although security for Israeli civilians was the stated justification for the wall, its route made clear that it was primarily an annexation project. As the Israeli human rights group B’Tselem explains, “a major aim in setting the route was de facto annexation of land: when the Barrier is completed, some nine percent of the West Bank, containing 60 settlements, will be situated on the western — the ‘Israeli’ — side.” Other benefits of the route of the barrier from the Israeli perspective include, as Backmann notes, the taking of fertile land and precluding the possibility of a Palestinian state. When describing the Sharon government’s siege of the Occupied Territories in 2001, Backmann refers to civilian casualties as “collateral damage.” On a number of occasions, he refers to the West Bank uncritically and without quotes as Judea-Samaria, which is the biblical term used by Israeli settlers. Backmann fails to discuss the events of 1947-49 that led to the creation of Israel, including the ethnic cleansing of 750,000 Palestinians by 1949. An exploration of the colonial nature of Zionism would help explain why Israel sees no problem with building a separation barrier that tramples on the human rights of Palestinians. Also missing is an in-depth discussion of the rise of popular resistance movements across the West Bank, which developed in response to the building of the barrier. Resistance to the Israeli occupation isn’t just confined to Palestinian villages, though, as the events of the May 31 Freedom Flotilla, explored magnificently in Midnight on the Mavi Marmara, show. The flotilla was an international effort that included 600 passengers from a multitude of nations, and attempted to break the blockade of the Gaza Strip by sea. Yousef Munayyer, executive director of the Washington, D.C.-based Palestine Center, reminds readers that Israel massacring civilians is not a new phenomenon, nor is the world’s apparent unwillingness to hold Israel accountable for war crimes. 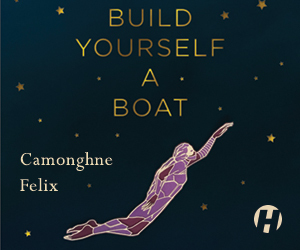 By and large, though, if one wants to understand the attack on the flotilla and the utter necessity of building an international solidarity movement that will finally bring Israeli apartheid down, this is the book to read. It couldn’t have come out at a better time; while the world’s media incessantly focus on recently re-launched “peace talks,” the real work of bringing about liberation for the Palestinian people can be found in efforts like the Freedom Flotilla.